Relojes Rado. La empresa Relojes Rado fue fundada en 1917 por los hermanos Schlup. En 1957, tras 40 años como proveedora de maquinarias de relojes, la nueva marca de relojes lanzó su primera colección bajo el nombre de Rado, y cinco años más tarde, junto con el legendario reloj ovalado Dia Star, ( 'Diastar' el primer reloj resistente al rayado), Relojes Rado puso la primera piedra en una sorprendente historia de éxito absoluto. En 1983 el Catálogo De Relojes Rado se incorporó al Grupo Relojero Suizo Swatch "The Swatch Group of Companies of Switzerland"
Rado Sintra Watches have the Swiss quartz movement, 48 diamonds, different gorgeous case design and style, scratch proof sapphire resistance, different dial colors, available in different 4 sizes and bracelet made of high-tech ceramics in different fascinating colors and the water resistance to 30 meters. Rado integral collection has scratch proof sapphire crystal, available in five elegant colors and in different design, in scratch proof high-tech ceramics and in comfortable leather straps bracelet, quartz movement, different dial color, stainless steel case and the water resistance also. Rado produces Original classic watches for the sober people. Rado original classic watches have scratch proof hard metal bezel, scratch proof sapphire crystal, automatic movement, stainless steel bracelet and case, different dial colors and the water resistance to 333 feet. The model of this elegant watch is R21540202. Rado Ceramica Black Ceramic Watch is especially designed for the usage of young ladies. The material of Rado Ceramica Black Ceramic Watch is black ceramic. The diameter of dial is 19mm x 24mm. the dial of the watch is black. 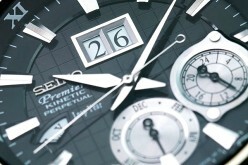 The numeral markers of 1, 5,7,11 are shown on the dial and the hands of the watch are white colored. 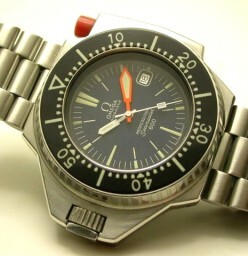 The watch is included on high quality and genuine material. The company of Rado Ceramica Black Ceramic Watch offers watches for sale at very low and discount rates. The bracelet of this product is made of black ceramic and has push button clasp. Rado Ceramica Black Ceramic Watch is available in the market at 2 year Jamshop.com guarantee. The movement of this watch is quartz. It is water proof watch of 100 feet or 30 meters. The company offers 37% discount on the purchase of this graceful and sophisticated product. Rado Coupole Platinum Watch is made of authentic and high quality material. 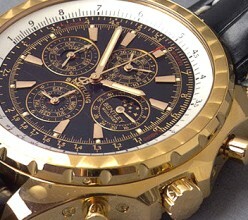 The precious material is also used in the construction of this beautiful watch. The brand number of this watch is Rado Coupole Platinum-tone ceramic watch R22593102. Rado Coupole Platinum Watch has made for men. The diameter of case is 33mm. the color of the dial is silvery white and it has fantastic rigid bezel. The date is displayed on the right above of the 6 o’clock position. The signs of hours are with sparkling material. Rado Coupole Platinum Watch has scratch resistant sapphire crystal and also has bracelet of platinum tone ceramic. Rado Coupole Platinum Watch is water resistant at 30meters. The model number of this watch is R26493112. It is very beautiful and delightful product for the usage of men. Men of every age can wear it but it is extremely favorite product among the young men of the whole world. 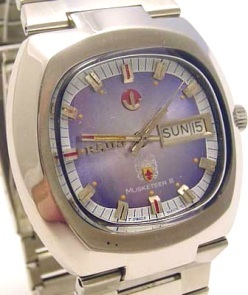 The brand of the watch is very genuine and long-lasting. Date is given on the position of 6 o’clock. The wristlet of the watch is made of grey ceramic stainless steel. The bezel of the watch is permanent. Rado Ovation Watch is water proof at 100feet. This company is working worldwide successfully. Rado Ovation Watch is available in the market at 38% discount. Rado watches are associated with top quality timepieces made from the finest scratchproof materials in the world and has succeeded over a short period in building up a distinctive brand with successful worldwide distribution. The company was founded in 1917 in Switzerland, although it wasn't until the 1960's that the world's first scratchproof watch was made under the name Rado DiaStar. In 1983, Rado joined the elite SMH group, now known as the Swatch Group, the biggest watch conglomerate in the world. Rado watches are unique in every way. While other brands use conventional materials like gold, brass or steel, Rado goes for materials of the future such as hardmetal, sapphire crystal, high-tech ceramics, high-tech lanthanum or high-tech diamond. And this is always in the endeavour to develop design/material combinations that unite in perfect harmony the double functions of the watch as a modern piece of jewelry and a functional timepiece. The basis for this is provided by the mastery of highly developed leading technologies for the manufacture and processing of the hardest materials in the world. Dónde Puedo LLevar a Reparar Mi Reloj Rado?